Mil-D-3464E is the U.S. military specification for silica gel and clay desiccants. It includes requirements for the desiccant performance and packaging, as well as specific test procedures. Desiccant Bags are desiccants that are packaged in porous materials such as Kraft Paper or Tyvek. 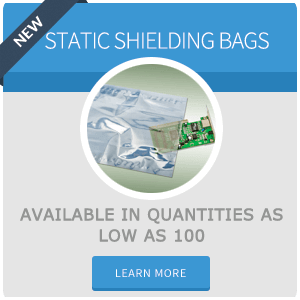 Desiccant bags absorb moisture, odors and chemicals to preserve and protect your products such as semiconductors, electronics, cartons of food, and all types of machinery. A “Unit” refers to the Military Specification for packaging of desiccants. The term unit is a quantity of desiccant, which will absorb a set percentage of its weight at certain levels of humidity. 6 grams of water at 40% RH, 25˚C. A unit is also roughly equivalent to one ounce. Type I bags meet the Mil-D requirements for absorption, reactivation, dusting, and durability. Type III bags meet all of the requirements of Type I, plus resistance to hot water. All of the desiccant sold at Edco meets Type I and type II requirements. In order to re-use the desiccant bags, they can be placed in a circulating oven and baked to drive off the moisture. After reactivation, the bags must be able to pass a durability test (drop test), to ensure that the seal strengths are not compromised. The bags must also retain 90% of their original adsorption capacity. All Mil-D products can be reactivated. Instructions including baking temperatures and times are printed on each Mil-D bag. We recommend reactivating clay desiccant a maximum of 5 times. For pricing and more information on desiccant click here.